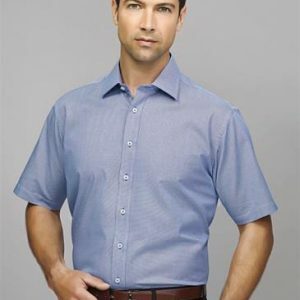 A semi-fitted open neck shirt. Trim fabric contrast on the inside yoke, collar stand and inside cuff. Cuff is wider in width so can be folded back. The finished leg sits over the shoe. The waisted back panel allows expression for style while being functional at the same time. Side pockets and 2 on the rear. It has side pockets and 2 on the rear. It includes 2 fully functional flip pockets on the front and an internal pocket for mobile phone or security card use. Vented through the rear with fully functional Flip Pockets in the front. It also includes an internal mobile phone pocket. It is vented through the rear and has fully functional Flip Pockets in the front. It also includes the internal mobile phone pocket. Biz Corporate Ladies Maternity Pant 10100. 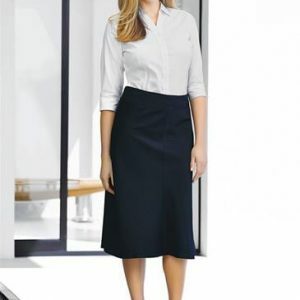 The maternity pant with soft front expandable rib enables maximum comfort while ensuring ease of movement in the workplace no matter the stage of pregnancy. The pant is a mid-rise with a straight leg which provides added comfort and a great fit. Finished leg sits over the shoe.